These administrations are rendered on time according to the shared assent. We are occupied with transportation of a wide range of cargoes customed cleared by us and guarantee safe conveyance to the craved spot. Door to door service for personal or commercial goods anywhere in the country & abroad. 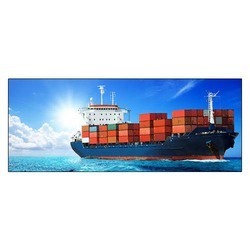 We are providing Ocean Transportation Services. These services are extremely admired in the industry due to their timely finishing and hassle-free management. We complete these services as per clients demand. In addition, we provide these services to our clientele at reasonable prices. 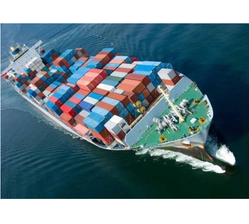 We hold expertise in the domain of providing our clients an extensive range of Cargo Sea Transportation Service. All our transportation services are executed within the promised time frame specified by the customers. For proper execution of preferred services, all our experts make a close inspection regarding the quantity to be delivered. With our years of experience, we are able to undertake different off-site Overseas Operations that include ship to ship transfers and lighterage operations of bulk cargoes. These services are executed under the guidance of our master Mariners and Professionals, who easily take up challenges, over Land and Sea. Banking on the skills of our qualified team of professionals, we are engaged in providing International Sea Logistic Service. This International Sea Logistic Service is rendered perfectly by our expert professionals with full reliability of consignment. We provide our customers with best shipment options at economic rates. : Providing shipping + freight information round the clock. Divya is today one of the largest broker for sea cargo booking. Because of large volumes Divya is able to provide most competitive frieght rates to world wide destinations with globally reputed liners. Whether it is normal boxes or special flatracks, open tops, 45' equipments, we provide it all at most competitive frieghts.